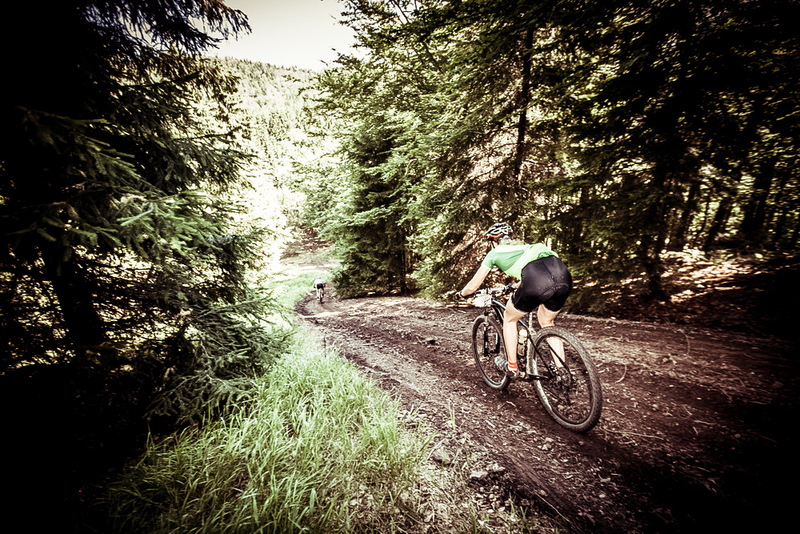 Sudety MTB Challenge is the oldest mountain bike stage race in this part of Europe, gathering riders from all over the world. 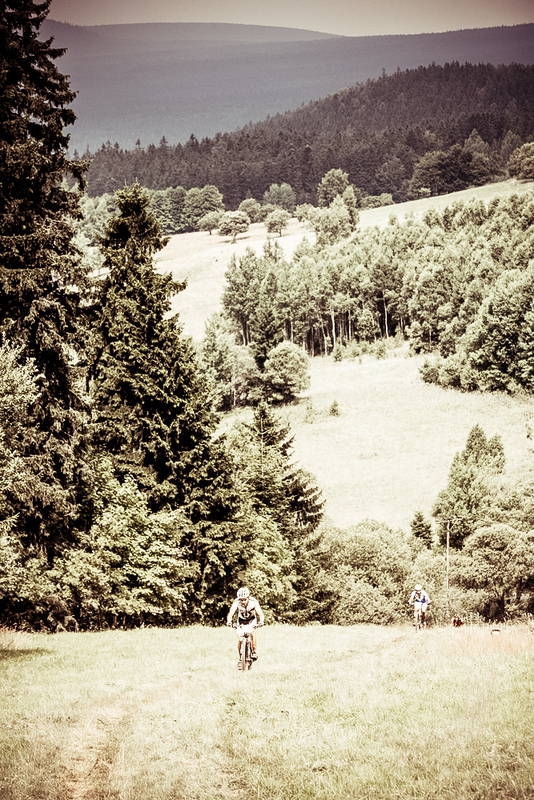 It’s a classic 7-stage event held in a beautiful area of the Sudety mountains, which offer unique and pristine trails. Pure MTB fest! Three distances. 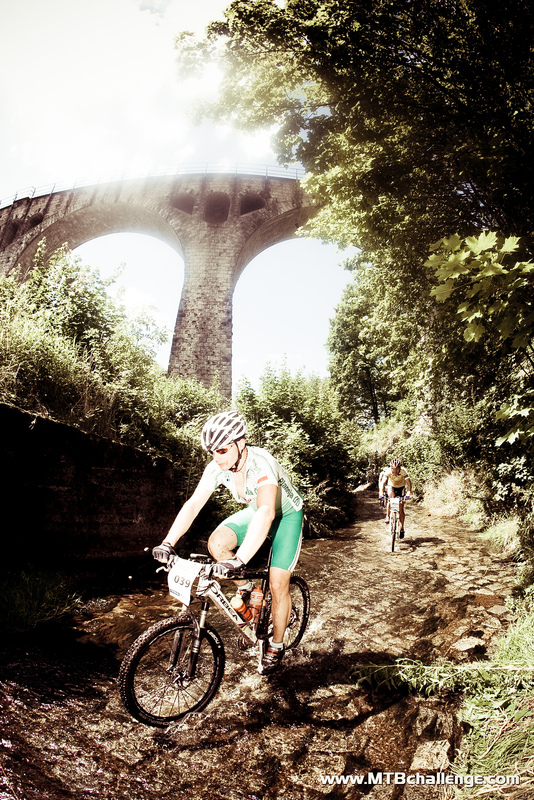 CLASSIC for the seasoned mountain bikers: prologue and six stages, 434 km of racing and 13.200m of climbing. For the less experienced ones and the newbies there are two shortened options – HALF: 3 days of racing (prologue and 2 stages) on full distance (150 km and 4.700m of elevation) and QUARTER: prologue and 2 shorter stages (100 km and 3.300 m of elevation). The variety of racing options should meet every rider’s abilities and expectations. The race will kick-off with a prologue from Sienna to Stronie Śląskie - the latter will host the participants three times: during the prologue and 2 stages. 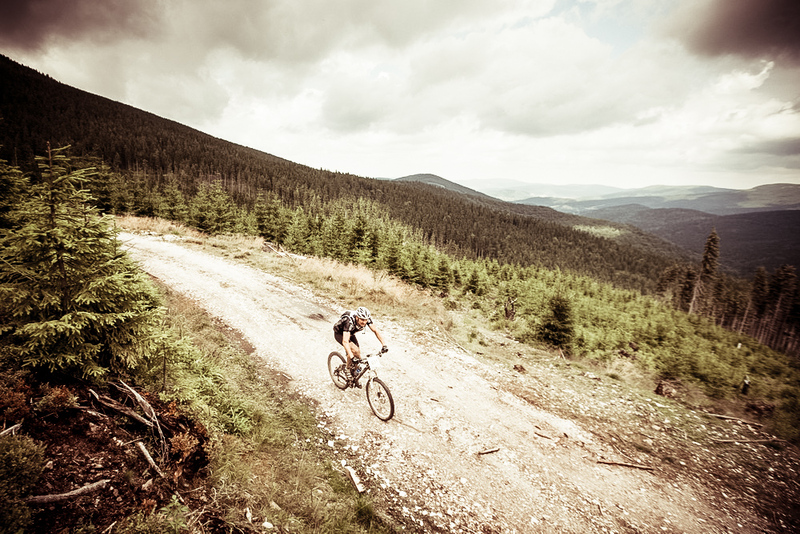 The CLASSIC distance, after leaving the Śnieżnik Massif on Day 3, will follow a point-to-point rule, so that the contenders will be able to experience the broad spectrum of the Sudety mountains, riding through towns like Bardo, Walim, Duszniki Zdrój, and the Stołowe Mountains National Park. The prologue begins in the town of Sienna, close to the lower lift station at Black Mountain. This is the initial phase of along, "monotone steep" driveway towards the Pass of Vipers Glade. Along the way, the route traverses the slopes a few times where the spread is wonderful mountain views - take a moment to raise your head from the bar and look around. The first stage puts us in our place from the very beginning. 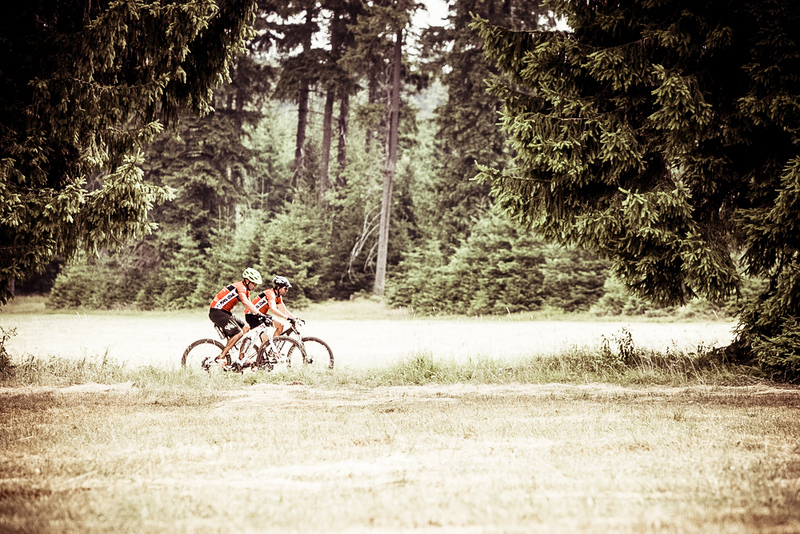 We beat arduous climbs, along steep gravel tracks, opening out into the technical section. This we’ve also known as the finishing, downhill section of Prologue. A deep breath, but we do not rest from the monumental views and superb single-tracks. The initial sections of the stage are very smooth with fast gravel climbs and descents. Just after exiting the main (asphalt) road we will get the answer to, "Is there anymore power in our legs?". After we beat a long, smooth up and down sections we reach the "Bear Cave”. We have gravel tracks, wide forest roads, and some asphalt mountain roads here. At Śnieżnik Pass we begin a long climb in Śnieżnicki Landscape Park. Amazing, beautiful views extending from the Śnieżnik slopes effectively distract us while climbing. 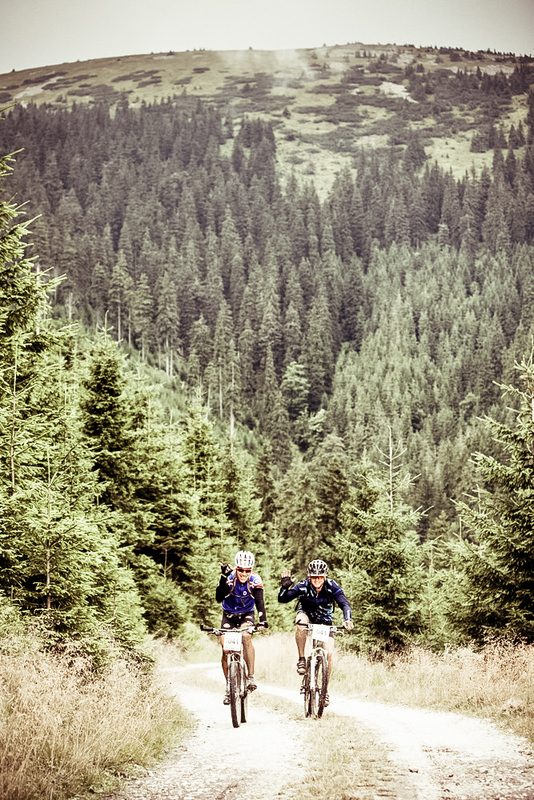 Thanks to the beauty, accessing the first single-track becomes a real pleasure. We get to the Yellow Trail and turn sharply to the right. A bit of a steep road with loose stones and we reach the border. Here we get a few kilometers of riding, up and down. It's narrow, and sometimes very fast downhill, it leads us to thefeedstation. 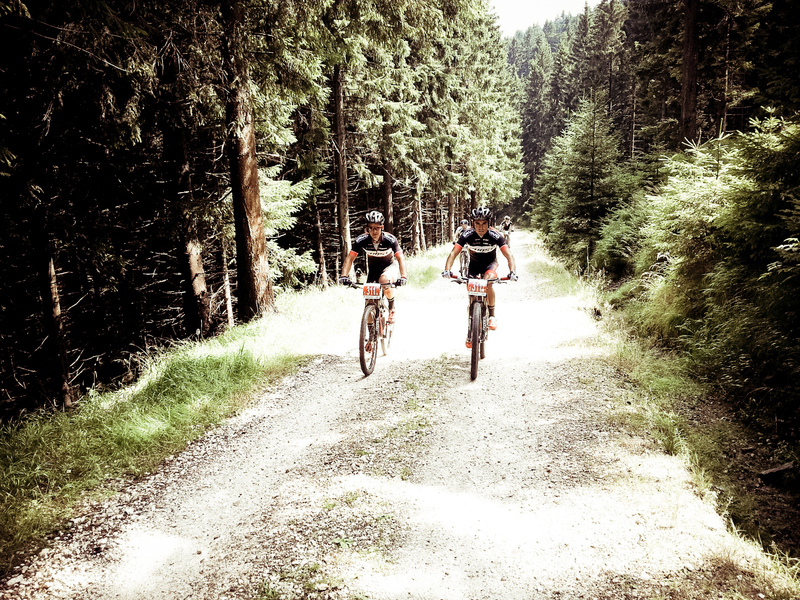 After that we encounter the next few kilometers of real MTB. A demanding, long technical uphill opens into a narrow path. At the end of the path, something that no MTBCH 2015 participant will ever forget, a crazy "one bike only" downhill track. It's winding, it's narrow, it's steep, and technical. You get the whole package! Physically challenging and rich in technical sections is what is in store on this stage, which ends in Bardo. Beating the first kilometers is the perfect way to warm up before starting the hard challenges awaiting us in the terrain. After the first not-so-demanding climb we reach the asphalt forest road. Whoever is doing well, is now able to feel the real speed. Suddenly... a sharp turn to the right into the Red Trail and from that point the real fight begins: Mountain-biker vs. Sudeten! A piece of a steep climb and we reach the ridge. 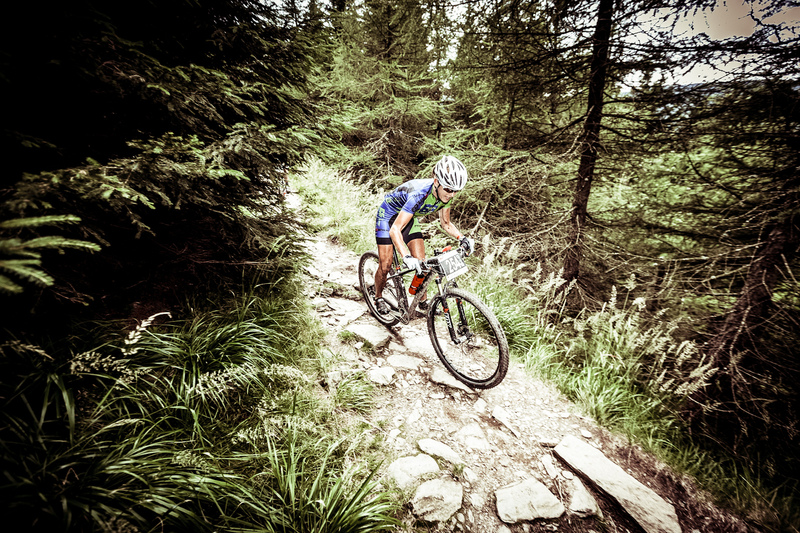 The initially flat single-trail opens out into a technical, steep downhill with two kilometers of a fierce ride. We can catch a breath now, and after a while enter the fast, narrow path near Szeroka Kopa. 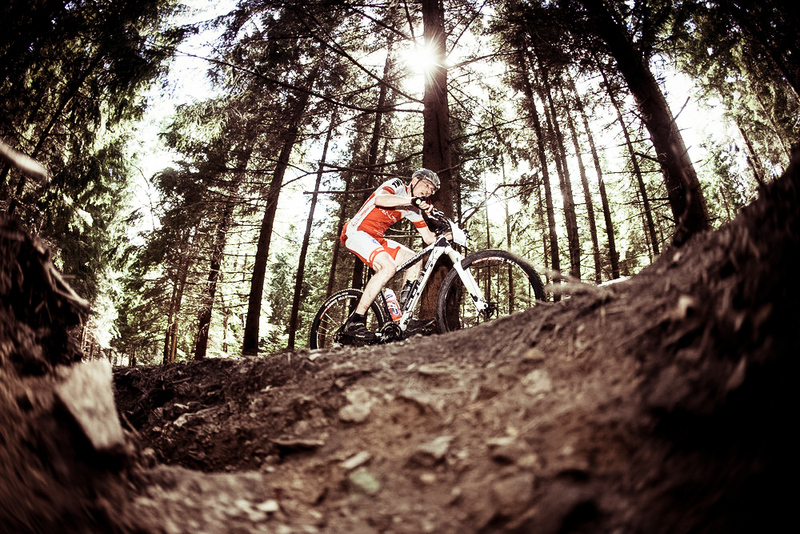 The trail preparation we've done to this section enables you to feel the full speed, at last! We get to a gravel road - and it's a few kilometers along gravel roads now. This is a good opportunity to catch a breath, as this section leads us to a trial! 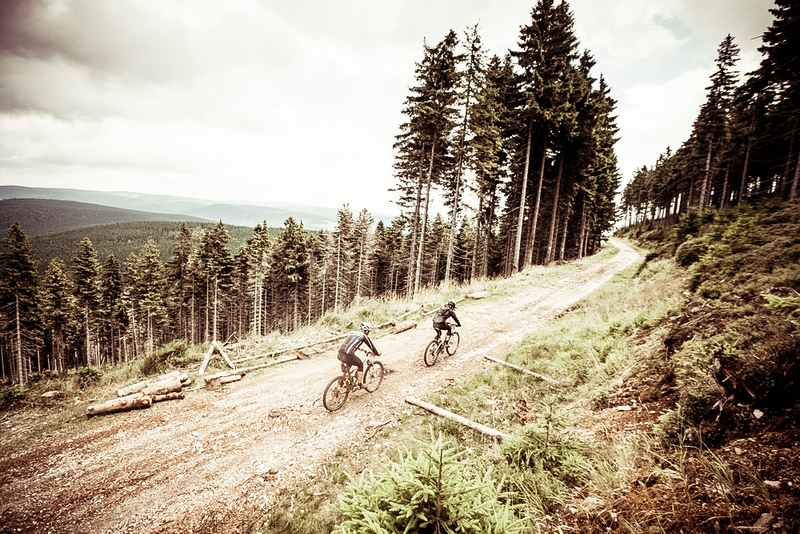 This, for many, will be the first real test of the preparedness for the 2015 MTB Challenge. A narrow path, 20 kilometers long, 20 kilometers of climbs, and descents.It requires full concentration and commitment to the ride. This section is a real "March or Die". If you're a "hard-tail" rider - we really sympathize... Fortunately there is a midway feeding station. Another one tells us we've won the battle against this really demanding section. After the last tough 20 kilometers, you are brought to the next epic place - the Borówkowa Mountain. This technical, long uphill will certainly be felt. However, the prize awaits you at the end -over a 2 km long descent. Technical, fast, and... very fast. The feeling of discovering new, amazing places always accompanies us as we ride down the Borówkowa. Immediately after that another demanding climb begins - the uphill to Jaworowa Pass. It's technically easy and steep. We'd say ultra-steep at some point. The next 20km will drain your battery... Flat, winding, forest, and gravel roads -his section encourages the pursuit of those in front of us. A short steep climb to Mount Kalwaria, is the last downhill of this stage. Fast, very dangerous, and really exciting. We get to the main asphalt road. 1 km further and we cross the Stage 3 finish line. Have you enjoyed that, huh?! A very rich stage with a unique track, demanding your concentration throughout it's whole length. Technically difficult fragments will not forgive the mistakes and the lack of abilities to fully control your bike. They will show no mercy to careless bikers. The Sowie Mountains are only 40 km long, but it's just this short part which will come back to haunt you in your dreams. It”s characteristic points are the historic aqueduct, the biggest in this part of Europe, a fortified Prussian fortress, and the highest point of the stage The Great Owl (1,015 m above sea level). All these elements consist of exceptional cycling scenery spiced up by the historical features and the atmosphere of the exciting adventure. Is it worth experiencing? You will decide in Głuszyca. 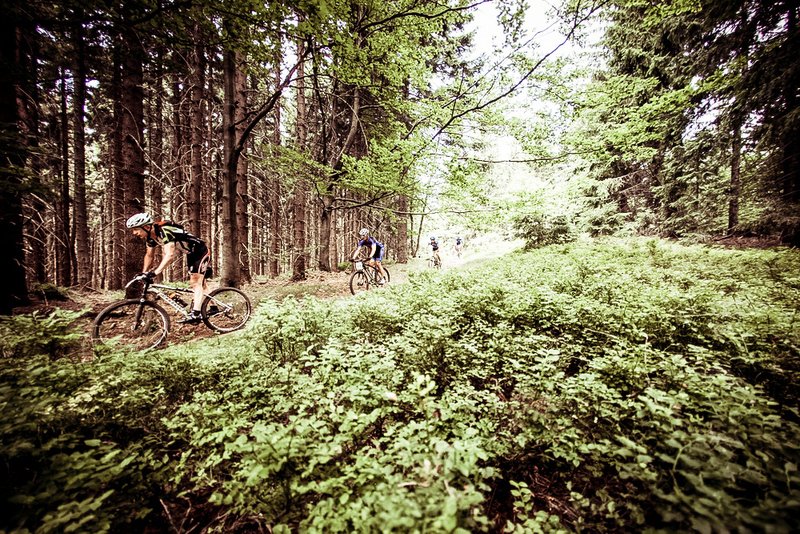 The sixth day of The Sudety MTB Challenge, with the finish line in a health-resort Duszniki Zdrój, is the last chance to relish in real mountain biking. The stage begins with the long uphill, leading to ruins from a 13th century castle, found in The Suche Mountains. Which is also the highest castle located in Poland. After crossing the non-existing border of the Czech Republic, you will be able to take another breath before entering the National Park, which will bleed you dry. The finish of the six-day-long competition in The Stołowe Mountains guarantees additional emotions, which, we hope, will stay with you for a long time. The final stage just happens to be the second-longest stage of the race. We’ll be making our way back to the place where the journey has started. The race will start with moderately steep climb followed by an initially steady and later very fast descent. 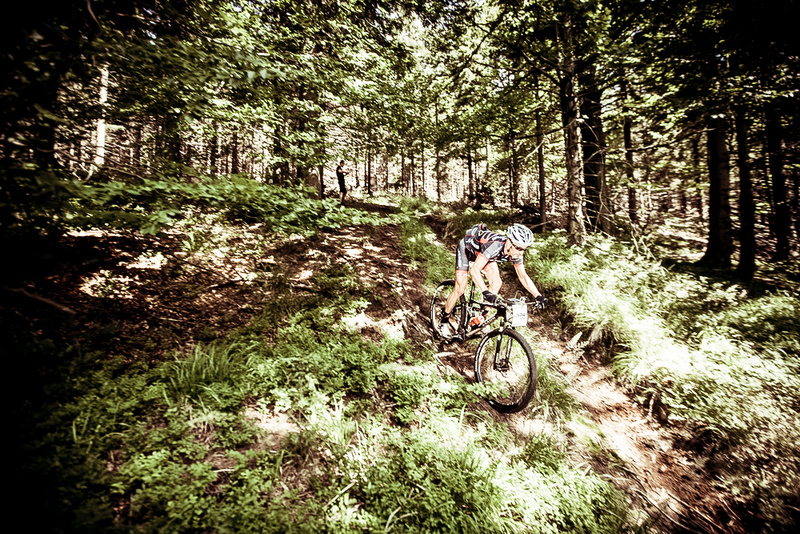 Don’t be afraid – you will have a chance to smash yourself on two heavy climbs one last time, before reaching the long-awaited finish line and becoming a 2015 Sudety MTB Challenge FINISHER! 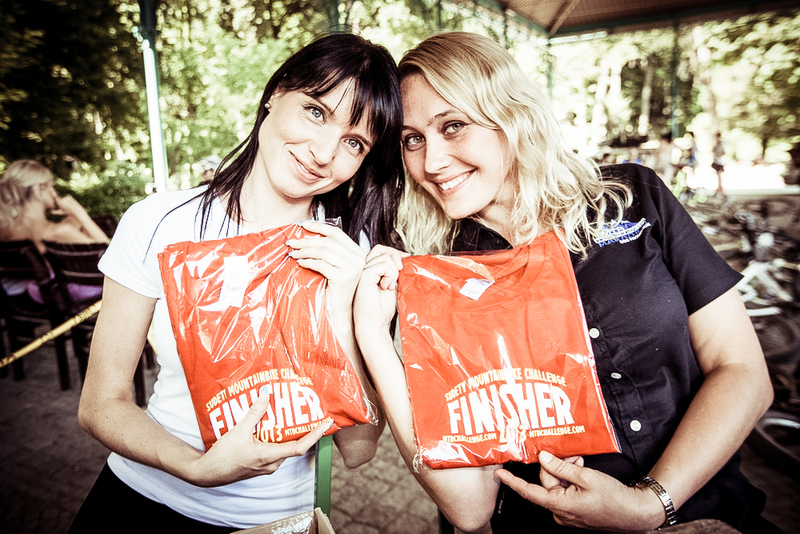 The application form for the 11th edition race has been activated - sign up! We only have 600 slots available! The 10th anniversary edition of the race gathered contestants from 25 countries and 5 continents. 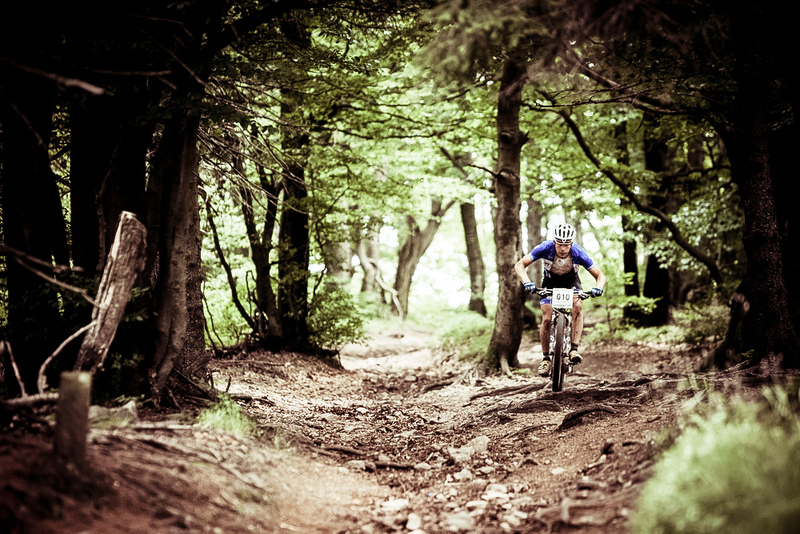 Now you can enjoy the full clip and photos from last year's Sudety MTB Challenge.